Everyone has an idea of what Van Gogh looked like. No one can really know as all the many images of him all differ. 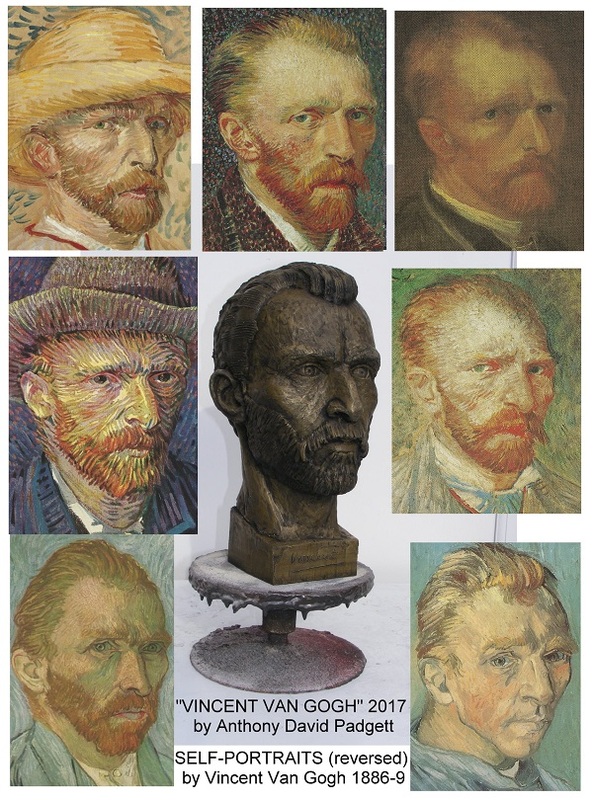 Based on a detailed analysis of all Van Gogh's self portraits Padgett's award winning sculpture is an attempt to balance many of the different elements. Versions, each in different cast finishes, are being sited in Arles, the Borinage, Brixton, Ramsgate, Isleworth and Welwyn - all places associated with Van Gogh's life. 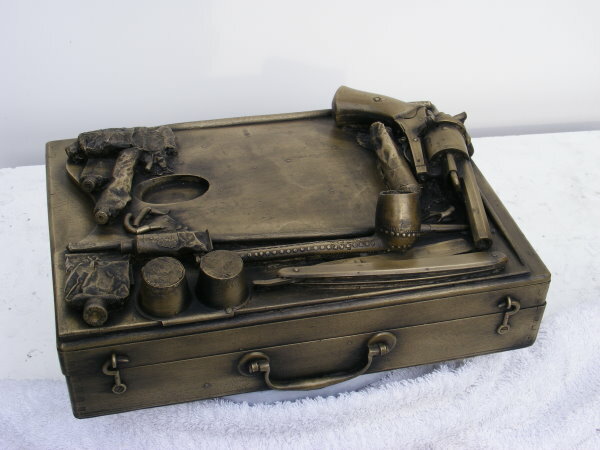 The base incorporates 19th century antiques, including the same kind of pipe as on the famous "Vincent's Chair" painting and also the same kind of pistol he is believed to have shot himself with. The books are the earliest first editions of his letters (dating from 1906 - 1914) and the sunflowers are from Arles (where he painted many of his most famous works. This film https://youtu.be/A2dxYXjfKoU" shows the full sculpture and Padgett at the casting studio. 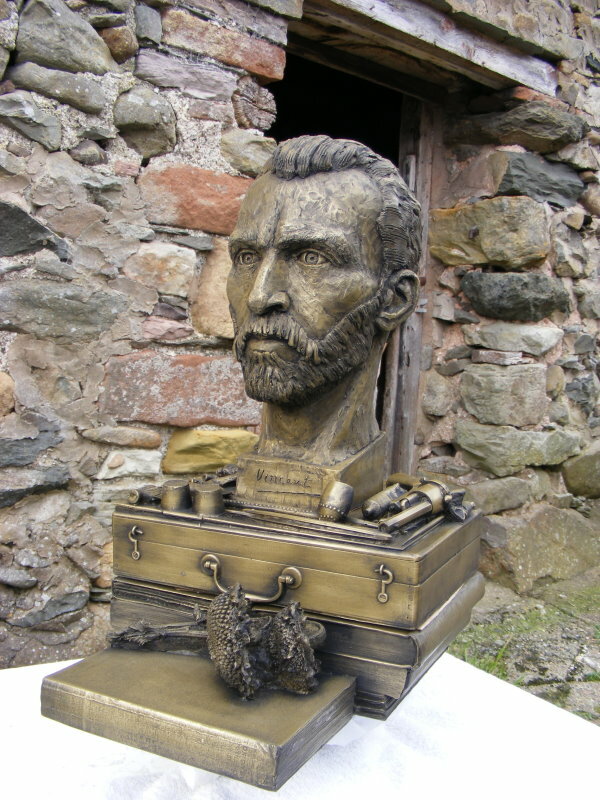 �What did Vincent Van Gogh look like?� This film https://youtu.be/MOrJXY9lVnM shows how the bust was constructed from images of Vincent. This film shows the https://youtu.be/jVxAVxmZ7Ts 19th century antiques (which include the very rare pipe from Van Gogh�s �Vincent's Chair� 1888 as well as oil paints& paint box from Paris). 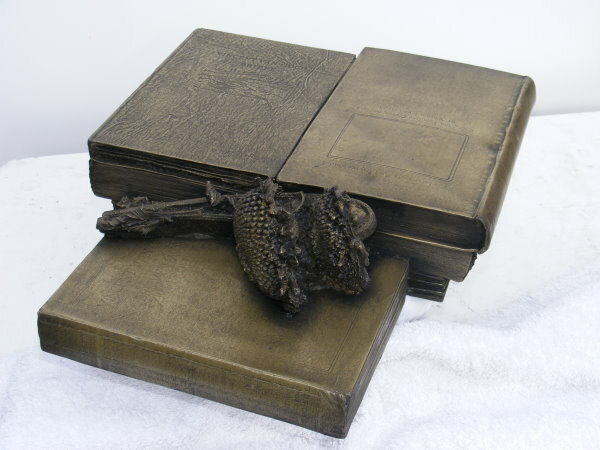 And this shows the https://youtu.be/NluGR-hhROE 1st edition books and sunflowers used in making the base.